Dr. Fischer has lectured and instructed physicians nationally and internationally on the evolving use of ultrasound technology in Pediatric Emergency Medicine. He founded the innovative Emergency Point-of-Care Ultrasound Program at SickKids in 2011 which includes the Paediatric Emergency Point-of-Care Ultrasound Fellowship; the ﬁrst of its kind in Canada. Learn more at P2SK.ca. 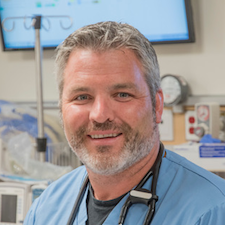 He now leads the Division of Emergency Medicine which delivers care to 74,000 children annually and supports world-class medical education, clinical research, and quality practice.